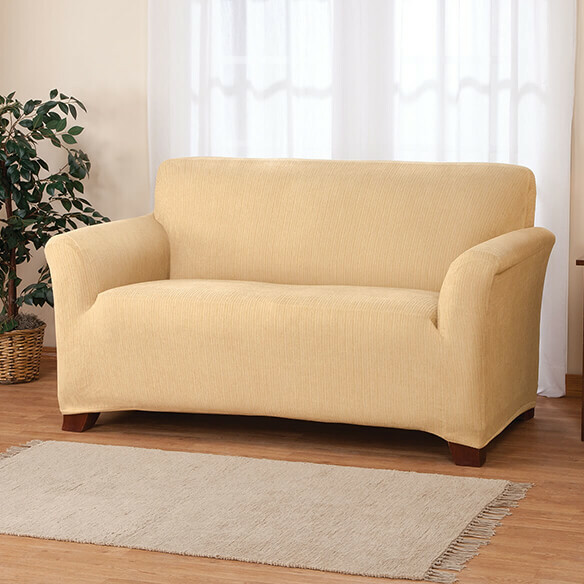 Stretch heather sofa cover adds softness and a feeling of dimension to furniture — an irresistible invitation to take a seat. 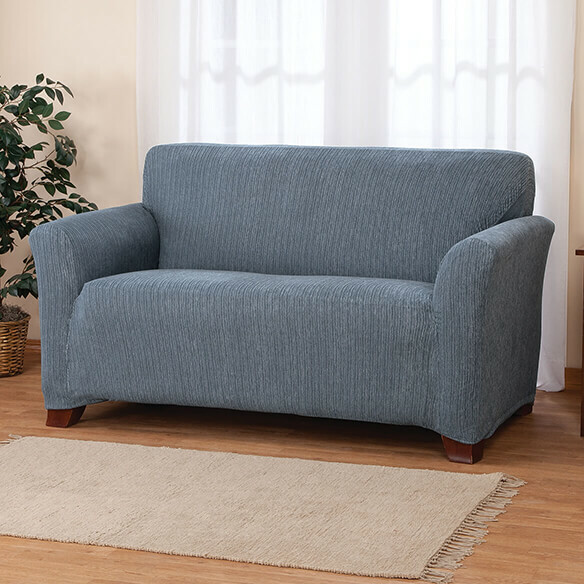 Soft, durable fabric furniture cover instantly gives your sofa a fresh look while protecting from stains, spills and wear. Easy-on/off design stretches for a smooth, snug fit. 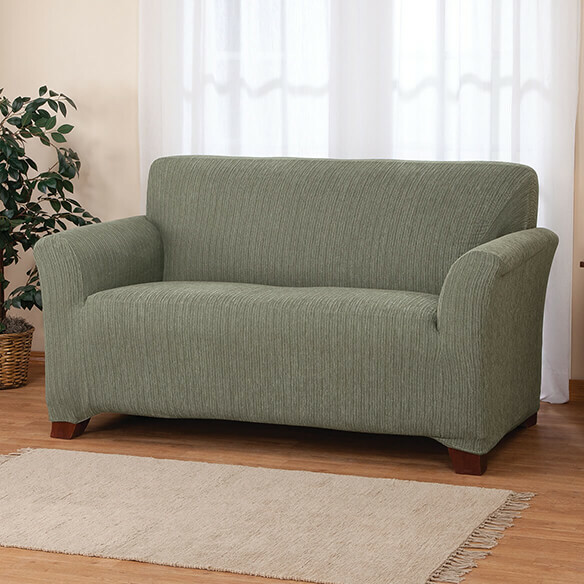 Four-piece couch cover set includes fitted back, seat cover and 2 arm covers. Choose from 4 stylish colors to beautifully complement any décor: coffee, blue, gold or olive. Machine wash. A perfect complement to our stretch heather recliner and pillow covers (sold separately). Great product. Fit like a glove on the sofa. Makes the sofa look like new. Maybe I will have to use it on the chair. I like the way the texture looks and the price is great.